The Washington quarter was introduced in 1932 and was intended to be a one-year circulating commemorative coin struck to honor the bicentennial of the birth of America’s first president, George Washington. After a one-year hiatus, in which no quarters were struck, the Washington design returned in 1934 and officially replaced the Standing Liberty design, which had been in production since the end of 1916. With minor modifications performed to strengthen the design over the course of sixty-plus years, a major composition change starting with issues dated 1965, and a two-year modification in 1975 and 1976 to celebrate the country’s bicentennial, America’s quarter dollar denomination design remained relatively unchanged until 1999. In 1999, the United States Mint issued the first coins from the ten-year 50 States Commemorative Coin Program. The program was authorized by an act of Congress, authored under the same name and signed into law by President Bill Clinton on December 1, 1997. It was the goal of the program to promote the public knowledge of the individual states, their history, geography, and to promote the national heritage. The 50 States Commemorative Coin Program Act was shepherded through Congress by Deleware Congressman Mike Castle, one of the central figures in American coinage legislation for the two decades that he served in the House of Representatives, and supported by the Treasury, the United States Mint, and many stakeholders in the American coin hobby, including Harvey Stack, Q. David Bowers, and many others. 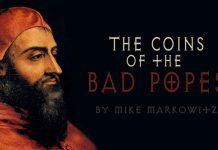 The act called for the production of five coins per year, with one coin struck for each state, struck in the order in which the states were admitted into the Union. 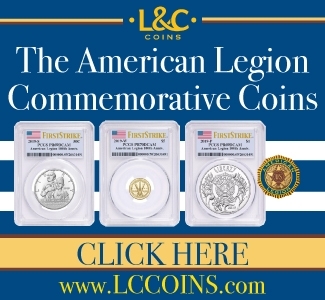 The act specified that the state design would appear on the reverse of each coin, while the familiar Washington portrait would remain on the obverse, but modified slightly so as to accommodate the inclusion of the legend (UNITED STATES of AMERICA), the denomination (QUARTER DOLLAR), and the motto (E PLURIBUS UNUM). 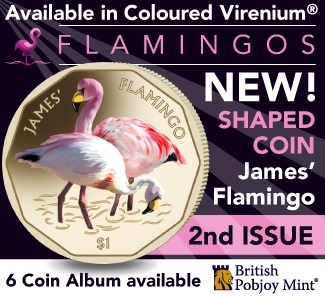 In the pre-1999 issues, this text was included on the reverse of the coin. Alabama was the 22nd state to enter into the Union of States. It ratified the Constitution on December 14, 1819, and saw its quarter released on March 17, 2003, in the fifth year of the 50 States Quarters Program. It was the second quarter issued in that year. The design was selected in January 2001, by governor Don Siegelman and featured civil rights pioneer Hellen Keller. Keller was born in Tuscumbia, Alabama, on June 27, 1880. In late 1881, at just 19 months old, Keller developed a serious illness that left her blind and deaf. Over the course of several years, Keller developed a method of communicating with her family through the use of signs, but it was not until Keller began to receive formal education from specialists that she made her breakthrough. Keller’s curiosity about the world around her was described by those who knew her as insatiable. She dedicated much of her younger years to attaining a formal education and developing methods of communicating with the outside world. She learned how to use brail, read sign language with her fingers, and ultimately learned to speak. Keller was the first deaf-blind person to earn a Bachelor of Arts degree and was a regular on the lecture circuit. As an adult, Keller was committed to social justice through political activism. This part of Keller’s legacy is mostly lost now, in part due to our country’s mythologizing of Keller as a young woman, who overcame her tremendous disability. What made Keller exceptional, was not just that she overcame these obstacles, but that she was a highly intelligent person, who had a complex understanding of the social inequities built into the American system. She fought for the rights of the disabled, for workers, and for women. She wrote columns and essays promoting socialist thought and in 1913 published the book Out of the Dark: Essays, Letters, and Addresses on Physical and Social Vision. She was friends with and voted for Eugene Debs, the five-time presidential candidate from the Socialist Party of America. She felt that capitalism had outlived its usefulness and admired the Soviet Union as a first attempt of workers to establish an organized society. Given Alabama’s conservative politics, Hellen Keller, it seems, was a radical choice for the state’s 50 State Quarters design. The most likely situation is that Keller, the mythologized, more than Keller the flesh-and-blood politically emboldened intellectual was chosen to grace the reverse of this state quarter. 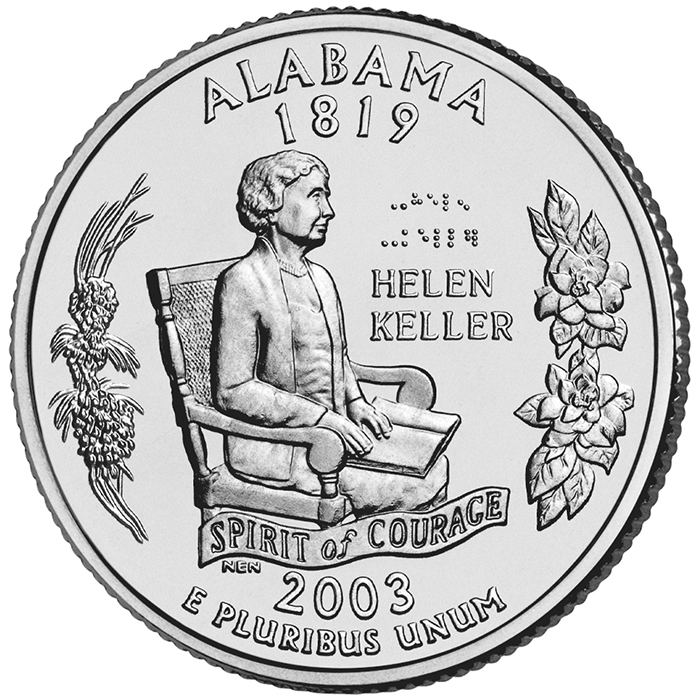 The Alabama State Quarter featuring Hellen Keller is ranked #2 in Ron Guth’s survey of the 100 Greatest Woman on Coins. What is a 2003-P Alabama State Quarter Worth? 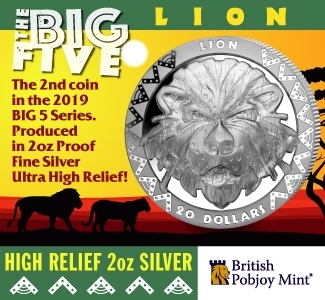 If you’ve come here hoping that the rolls, bags, and boards filled with state quarters would be worth a tidy sum now that the series is approaching twenty years in age, we’re sorry to disappoint you. 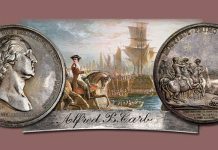 At the height of their popularity, interest in the 50 State Quarters series approached levels akin to a national mania. 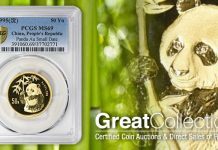 The earliest issues traded on late night coin television shopping shows for significant premiums over the face value with the promise of one day being major collectibles. And while it is true that the 50 State Quarters are collectibles, their long-term price performance is more in line with what you would expect for any mass-produced object that was hoarded en masse. 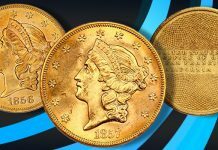 Numismatic standard references list the value of uncirculated examples at between $1 and $2, and that is about what you would expect to pay for one on eBay or at a local coin shop. 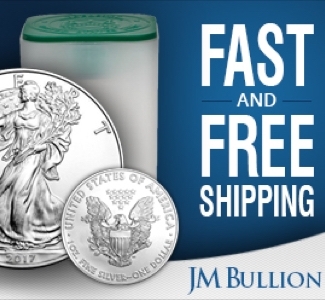 With so much ready supply, one should not expect a dealer to pay any more than 5¢ or 10¢ over face value unless the coins are in an original US Mint roll or bag. 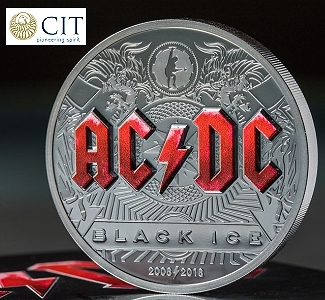 Certified coins in superb gem grades are another matter, altogether. The 2003-P is one of the scarcest of the 50 State Quarter issues to earn the grade MS68 by either PCGS or NGC. With a sample size of 953 examples graded, PCGS shows a population of three coins in this grade, with none finer. NGC has certified 282 examples, with only three in MS68 and none finer. To date, no 50 State Quarter business strike issue has graded MS70 and only a few hundred examples from across the entire series has graded MS69. 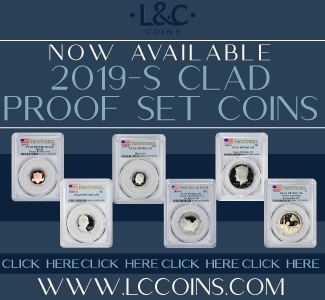 There are a handful of examples of Satin Finish Mint Set coins produced after 2005 that have earned the “ultimate” grade, but these coins have a distinctive finish and should not be considered in the same class as coins struck for circulation. Much easier to determine, is the value of a 2003-P Alabama quarter in MS67. 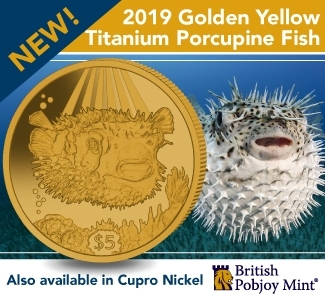 Given that the MS68 is so seldom seen, examples in MS67 carry a higher premium than the Denver Mint issue for the year and routinely bring prices between $25 and $30. 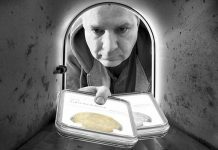 Keep in mind that the cost of submission for a modern coin to either grading service is about $20 a coin when fees like shipping and handling are factored in. Also, understand that the differences in quality between a coin that is MS67 and one that is MS68 is minuscule and may be unrecognizable to most collectors. William Cousin’s adaptation of John Flanagan’s original obverse design with slight revisions. 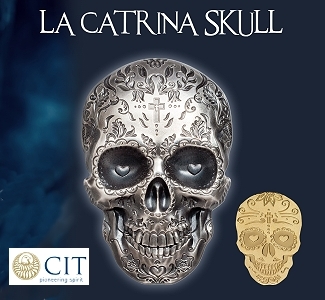 The bust portraiture is slightly reduced and the coin’s inscriptions have been reorganized so as to accommodate the inclusion of the legend and denomination, which on the pre-’99 issues appeared on the reverse. Wrapping around the top of the design is the text: UNITED STATES OF AMERICA. LIBERTY appears underneath Washington’s chin on the left. IN GOD WE TRUST is moved to the right side of the coin, behind Washington’s hair. Mintmark “P” for Philadelphia, “D” for Denver, or “S” for San Francisco, appears below the motto. 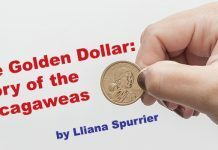 The denomination wraps around the bottom of the design and is written: QUARTER DOLLAR. In the bust truncation are the initials JF WC. 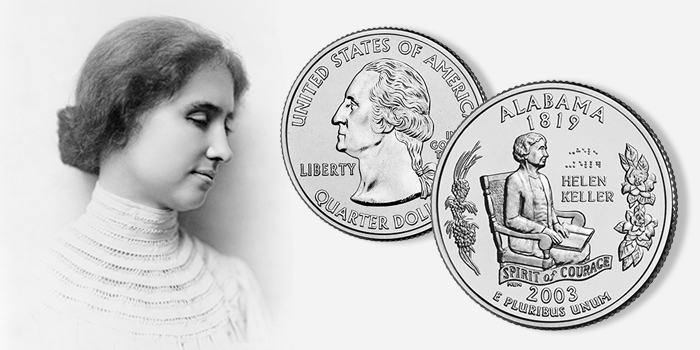 Helen Keller is depicted sitting in a chair at a three-quarters perspective. In her lap is a book, which she reads using the tips of her fingers. Underneath her chair is a ribbon, in which is inscribed SPIRIT OF COURAGE. Keller’s portrait is bordered to the left by a long-leaf pine branch and on the right by two red camellias blossoms (the Mint refers to these as magnolia blossoms). Keller’s name appears to the right of her portrait and is written first in Braille and beneath in the Latin alphabet. The initials NEN appear beneath the ribbon and refer to United States Mint Sculptor-Engraver Norman E. Nemeth. Wrapping around the top of the design is the state name: ALABAMA; followed beneath by the date of admission into the United States: 1819. Wrapping around the bottom of the design is the date: 2003; and the motto: E PLURIBUS UNUM. 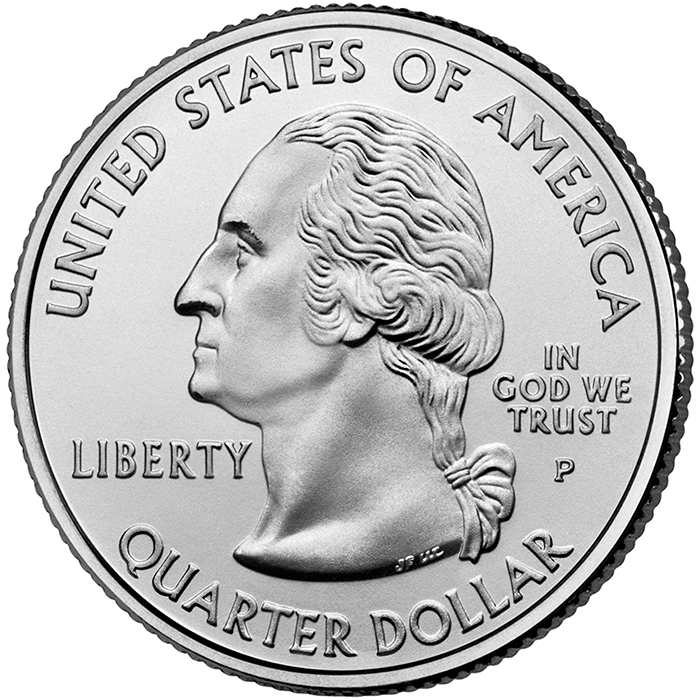 The edge of the 2003-P Washington / Alabama state quarter, like all Washington quarters, is reeded.